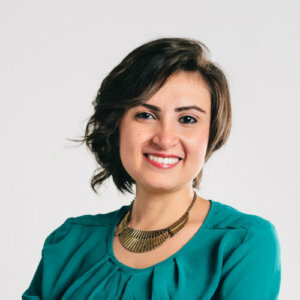 Maie El Zeiny is an innovation and entrepreneurship enthusiast with a keen interest in impact and purpose driven technology startups, with over 8 years of professional experience in entrepreneurship programs design and management and working alongside a large network of professionals and leaders in entrepreneurship, innovation, and academia in Egypt. Maie is also an entrepreneurship trainer supporting aspiring entrepreneurs plan, validate and build their businesses. Over the years, Maie has become an expert in navigating through the chaos of the early-stage creative process of innovation, and transforming ideas into final products ready for the market and their first clients and beneficiaries. With a background in computer science, and experience setting up her own start-up, Maie brings with her a strong passion and expertise in all aspects of entrepreneurship and mentoring multi-sectored innovators.